What is Savant Home Automation? Savant is a premier smart home system company that launched in 2005. It was the pioneer in personalization, recognizing early on that the key to creating better user experiences was to leverage mobile technology. In doing so the company has grown to offer a full line of smart home system automation options supporting many devices. Some products supported by Savant include: climate; shades; home theater; whole home audio; speakers; and lighting. Savant has become synonymous with luxury automation. While Savant does not offer support for as many hardware brands as some other smart home systems, it delivers a prestige experience that couples easily with many of the leading smart hardware brands on the market today. Savant home automation systems can be sourced from dealers across the country, as well as with Savant on-site facilities coast to coast. What Features Does Savant Have to Offer? When it’s time to choose a smart home system, you want rich features. Savant seamlessly delivers some of the most sophisticated automation control features on the market today. For instance, Savant apps are available for both iOS and Android. While the company doesn’t manufacture its own touchscreen units, it does offer table and wall mounts for iPads. 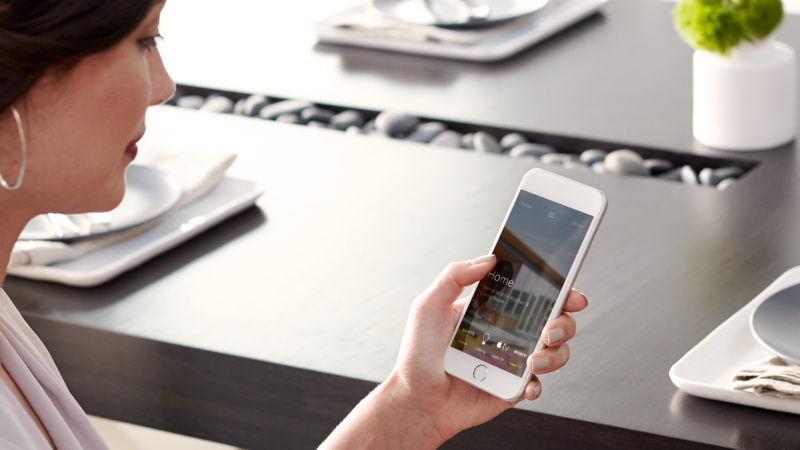 Users simply download their Savant app and take control of their home automation universe. Savant also offers unique energy monitoring tools designed to help users stay abreast of the electricity consumption in their home. If you plan on installing a Savant smart home system in your home, consider whether the features are what you’re looking for. For many consumers, Savant is the perfect intersection of cost and value. As far as customer service goes, you’ll have a number of options to seek assistance. You can connect with your dealer or contact Savant directly for help. What is the Savant Remote? The Savant Remote is perhaps the most unique of Savant’s offerings. With the Savant Remote, you can test out just the home theater automation portion of the system before deciding what you’d like to add on to your smart home system. In fact, if you aren’t looking to dive right into a complete automation system for your home, the Savant Remote is an excellent place to begin. The Savant home system can keep you up to date with everything going on at home while you’re away. When you’re there, you’ve got complete control over your pre-set “moods” of ambience, lighting, climate, and entertainment from the palm of your hand. You can even set profiles granting people such as parents or housekeepers access to the Savant system. Whether you want to “Wow” guests or simply enjoy a more eco-friendly, comfortable home atmosphere, the Savant smart home system is an exceptional choice, and here at Zeus Integrated we are experts at setting up Savant Systems to automate your home. Call us today at (800) 878-9705 to get started.